We are delighted to announce that the Academies have become the proud recipients of The Diana Award Bronze Level Anti-Bullying Accreditation. Since January 2018, our staff and student Respect Ambassadors have worked in partnership with The Diana Award Aftercare & Accreditation Department, to strengthen and evidence all of the Anti-Bullying Ambassador work that has been achieved within the Academy. Creating an easy to follow and highly visible Anti-Bullying Charter. The Bubble - an area at each Academy where students can go for extra support. Planning and supporting the integration of Year 6’s into the school. 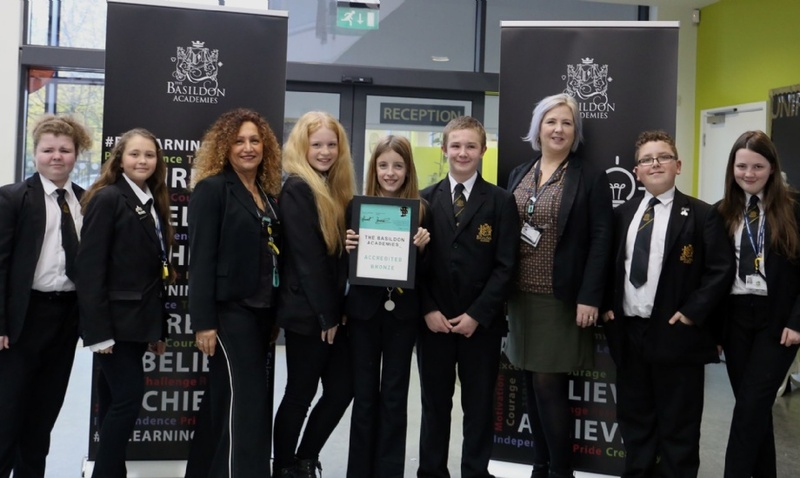 "The award is validation of the fantastic work that students and staff do to support our RESPECT ethos at the academies." Gary Smith, Headteacher. Particular strengths to note from the campaign work have been addressing racism and cyber bullying. I note that there have been plans to address LGBT work in further detail and I look forward to seeing this come into fruition. One unique development has been the Anti-Bullying Ambassadors work in discussing what respect and resilience means and it is clear that this comes from the young people. Good luck in the next steps of your campaign work! Paul Hanmore, Training Manager, The Diana Award.